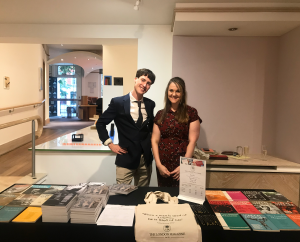 Last night we had a wonderful evening at the Collyer Bristow Gallery in London for the awards ceremony of the inaugural London Magazine and Collyer Bristow Prize for Debut Fiction, as we met our nominated authors and announced our winner. 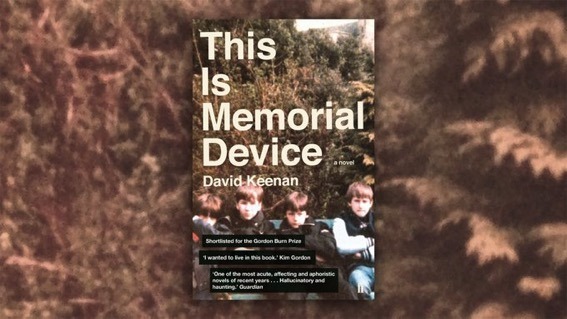 The Award was won by David Keenan of Faber & Faber for his superb novel This Is Memorial Device, which focuses on the post-punk scene of Scotland in the early 1980s. The book is comprised of a series of interviews with fictional characters about fictional groups, and in this anecdotal re-telling it captures the essence and independence not just of that particular era, but of local music scenes everywhere. The London Magazine & Collyer Bristow Prize for Debut Fiction was set up in order to highlight and promote the current wave of innovative novels published in the UK, and this year’s winner is certainly a worthy recipient. 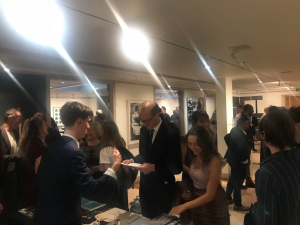 The board of judges was chaired by our reviews editor Matthew Scott, who featured alongside Suzi Feay, Houman Barekat, and Steven Heffer on the panel. 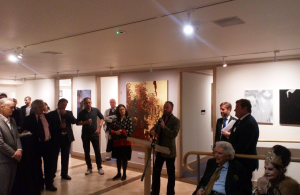 On the night David Keenan gave a rousing speech after being awarded the prize of £1000,, and the evening also saw speeches from Matthew Scott, as well as from former minister for culture Lord Grey Gowrie. For more information on This Is Memorial Device, visit Faber.